Simple, elegant and oh so French! Send velvety red rose stems delectably designed by our florists in a chic white `Paris` pot, (exclusive to Sydney deliveries only). 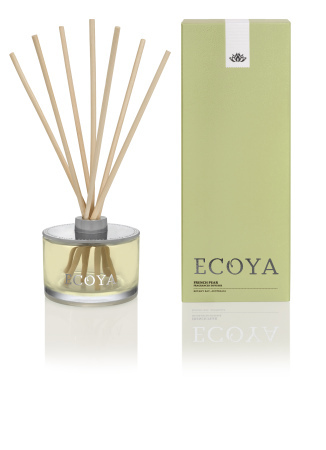 Finely primped with fresh green foliage and seasonal berries, these luscious blooms are accompanied by an ECOYA scented reed diffuser - the perfect present for Valentine`s Day, anniversaries, a romantic gesture, or a `just because you`re awesome` gift. 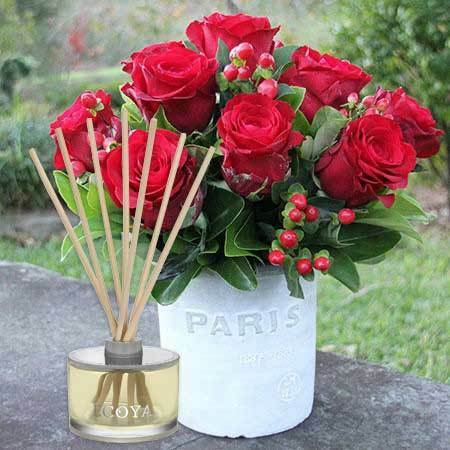 Order these gorgeous red roses and ECOYA gift online or by calling toll free on 1800 66 66 46. *Please note: The pictured rose arrangement and `Paris` pot is exclusive to Sydney only.